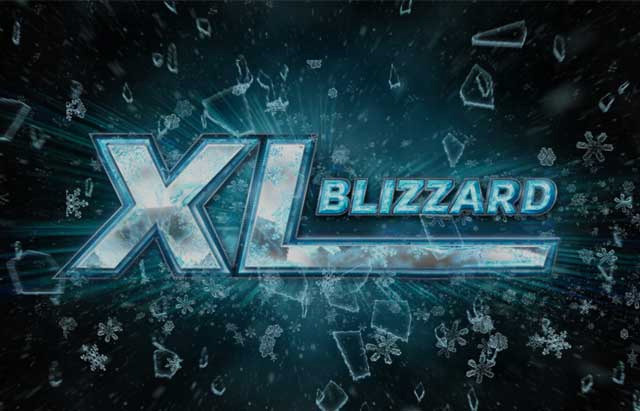 888poker's 2019 XL Blizzard online series wrapped up on Sunday with the $500 GTD Main Event. 888poker’s 34-event, $1.7 million guaranteed XL Blizzard online poker series came to a close on Sunday highlighted by its massive $500,000 Main Event. For the final day, 888poker ran four final tournaments with a total promised guaranteed prize pool of $665,000. As happened all series long, players were quick to register for the events, ensuring that all four tournaments would smash their respective guarantees. By the end of the day, not only did XL Blizzard hand out the largest score of the entire series, but 12 different players secured five-figure scores. It took over fifteen hours but in the end Malta’s ‘.RUIT.HORA.’ took down the XL Blizzard $500,000 GTD Main Event, turning his $250 investment into a massive $91,847,27 score. 1,783 players (531 rebuys) bought or won their way into the series finale, creating a guarantee shattering prize pool of $543,790. This makes it one of the largest tournaments held on 888poker in 2019. ‘.RUIT.HORA.’ took home the title of XL Blizzard Main Event champion by besting ‘DeuceofDuc0’ heads up, who took home $65,363.55 for his second-place finish. Well-known online grinder ‘MisterN411’ finished in third place, earning $50,028.68 for his efforts while the top eight finishers all walked away with five-figure scores. One of 888poker’s weekly staples got an XL Blizzard boost as the $100,000 Mega Deep demolished the guaranteed prize pool. 460 players (219 rebuys) battled over the $135,800 up for grabs with former worldwide #2-ranked ‘Madeon1994’ (aka ‘Ariados’) taking home the top prize of $25,802. The Swede battled another well-respected top tier pro as Russia’s ‘josef_shvejk’ finished as the runner-up, claiming $19,012 of his own. The victory was ‘Madeon1994’s first cash of the entire XL Blizzard series and will help put the worldwide #38-ranked grinder up over $10.65 million in total lifetime earnings. It was just last year that ’josef_shevjk’ touched the #4 spot in the world and even after taking some time off the online grind, he still resides in the top 100, landing at #73 this week. His finish in the Mega Deep will go a long way to rising back up in the rankings. Just like the Main Event, the $50,000 Mini Main Event proved to be a value-heavy tournament with 1,847 players (624 rebuys) registering the prize pool surged past the guarantee to $74,130. After a brief heads up match and ten-and-a-half hours of play, the final two agreed upon a deal that gave Brazil’s ’Ney_Anderson’ the XL Blizzard title and $10,791.89 for first place. Germany’s ‘schgewara’ earned himself nearly $1,000 above the posted second place prize and took home $9,713.46 in the deal. Eight players earned four-figure scores including ’jiujteiro’ who walked with $6,367.76 for his bronze medal finish. It took just over nine hours to reach a winner in the $5.50 $15,000 Micro Main Event as 2,509 players (1,019 rebuys) enjoyed the final event of the XL Blizzard series. The tournament wrapped up with a deal when Ukraine’s ‘ExValue1’ chopped with Mexico’s ‘Sizzlinbetta’. The Ukranian took home the title and $2,461.15 of the $17,645 prize pool while ’Sizzlinbetta’ pocketed an extra $170 as he added the $2,092.05 payday to his impressive $2.34 million lifetime earnings. Austria’s ‘YGVUHB’ finished the tournament in third place, earning $1,393.56 and Romania’s ‘ciaus80’ also picked up a four-figure score of $1,040.76 for his fourth-place showing.